Colombo, Sri Lanka -- Looking at Sri Lanka 's English language press we wonder whether an unseen anti-Buddhist hand is manipulating it. More than 40 years after the Press Commission noted the scant attention that the mainstream English newspapers give to the coverage of world Buddhist news, the situation remains largely the same. Although there are numerous international Buddhist publications and websites such as t he BBC's Buddhism News, the Buddhist Channel, Shambala Sun and Tricycle that focus on global Buddhist events not a single mainstream Sri Lankan English newspaper here gives sufficient coverage to them – even on poya days. Except for an occasional enlightening Buddhism-related philosophical or scientific discussion or an in-depth article, what we see on every full moon day in most Sri Lankan English newspapers is little more than a repetition of episodes from Buddhist literature and Jataka tales, Buddhist art and sculpture, sermons, precepts, ethics and other subjects, which the educated Buddhist is generally aware of. Of course these are undoubtedly important. But do we not need to know what is happening in the rest of the Buddhist world? Leaving aside Buddhism in the West, readers are seldom made aware of events even in neighboring Buddhist countries. For example Buddhism and Buddhist events in Ladakh and Sikkim as well as activities among the Tibetan Buddhist community in India hardly get any publicity in the Sri Lankan press. The same applies to Vesak in Singapore and Malaysia. In contrast n ewspapers and News Services from countries, which have Christian majorities - for example Daily Telegraph (UK), New York Times (USA), Associated Press and BBC - tend to give far more coverage to International Buddhist events rather than the newspapers of a country, which is supposed to be the repository of pure Theravada Buddhism. To Sri Lanka's English press last year's World Buddhist Forum (WBF) that was held in China was of almost no importance, except perhaps for recording the event. The proceedings hardly received adequate publicity, although it was the first such conference to be held in that country since 1949. Some 1000 monks from about 10 countries attended the forum held in Hangzhou in Zhejiang Province on April 13, 2006. In 2004 the BBC in its Buddhist News website carried five news stories on the flight and the exhibition of the Buddha's finger in Hong Kong which is drew tens of thousands of worshippers. The Buddhist News Network (BNN) in Malaysia carried several news stories on the celebration of Wesak on a grand scale in South Korea and Singapore. None of these news stories received hardly any publicity either in the State owned press or the privately owned English newspapers here despite the availability of these news items from well-known international news services. To date the local English press makes virtually no effort to strengthen religious ties between Sri Lanka and other Buddhist countries in Asia , although this country's cultural potential lies in developing and strengthening linkages with other Buddhist countries. And this is a fact that even many of those in the travel trade here have recognized. However in a rare departure from the norm 14 years ago the state-owned Daily News ran a Reuter news story on the editorial page titled, `Russia 's first Buddhist state with a Buddhist flag.' It was a report on Kalmykia (one of the Russian Federation 's 20 self-governing republics) which made Buddhism and Orthodox Christianity joint State religions in 1993. Among the most important global Buddhist events which the average Sri Lankan newspaper reader is still unaware of is the opening of a Buddhism “Research Center” in Israel in September last year . The Israel Center for the Study of Buddhism (ICSB) is a non-profit, interdisciplinary and intercultural research institution that wants to "bring the Far East to the Middle East". Its main mission is to bring an understanding of the fundamentals and the history of Buddhism as a whole from the earliest times up to the present so that Israeli society can better understand the Far East. This will hopefully pave the way for increased cooperation between the two Asian extremities in the future. The ICSB is unique in two ways. First of all it will be the only academic institute from Morocco to Afghanistan and from Turkey to Yemen researching Buddhism and its cultural backgrounds (India, SE Asia , China and Tibet) individually as well as a whole, from the distant past up to today. Secondly, it will try to better acquaint the Far East, (especially China and India) with Judaism and the part it plays in the State of Israel. These two opposite paths, one internal and the other external in their outlook, are what make the Israel Center for the Study of Buddhism extraordinary. Other events the Sri Lankan press has largely ignored include the dedication of the first Theravada Buddhist temple in Pittsburgh, USA, Buddhism's arrival in America 's Bible Belt (Alabama) and the 7th congress of the Buddhist Sangha, Ho Chi Minh City. In this context it is worth once again recalling some of the points raised in the Press Commission Report released in 1964. It refers to the Yomiuri Shimbun - Japan's largest and the most powerful newspaper at the time having a total circulation of over five million – exclusively devoting three out 16 pages daily to the publication of World Buddhist News. Last year, which marked the 2550 th Buddha Jayanthi, our English language press hardly mentioned L.H. Mettananda who did much to the cause of Buddhist revival. The Press Commission headed by Justice K.D. de Silva would not have seen light of day if not for Mettananda. 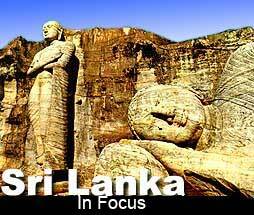 Sri Lankan Buddhist activists have expressed serious concern over the prevailing situation. On Vesak Day (May 01) they were very perturbed to read in the Daily News of a news item that rationalizes the breach of Buddhism's first precept. It is about a program to develop a Rs. 3 million inland fisheries development project in the Matale District.